We have a research and education license for the LASTools software. It is installed in all the lab’s computers. 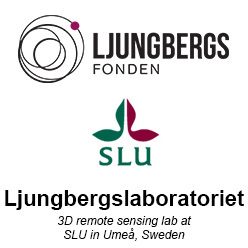 Please contact the lab’s responsible if the license is experied or the program is missing. The tools are frequently updated so if you need the tools for your work, make sure you have the most recent version, please contact us if you notice that there is an old version installed (c:\lastools). The latest version of LASTools can be downloaded from here. Read more about LASTools on RapidLasso GmbH. Here is a summary of the tools available and also a few links where you can read more about the software and a active forum. These tools does not require a license. These tools requires the licence that we have installed in the lab’s computers. blast2dem.exe rasters like las2dem but with streaming TINs for billions of points. blast2iso.exe contours like las2iso but with streaming TINs for billions of points.